Caring for Kids immediately provides essential resources to meet the urgent needs of abused, neglected or at-risk children in St. Louis County...because kids' urgent needs can't wait! » In any given month, the Family Court of St. Louis County provides services to approximately 1,300 children? » Children come under the Family Court jurisdiction because of neglect and/or physical or sexual abuse by caretakers or others? » Untreated substance abuse by parent(s) or untreated depression can often lead to a referral to the Family Court? » Tutoring services, once routinely provided by school systems, are no longer offered in many schools? » Only $250 per year is made available for clothing vouchers for children ages seven and older in foster or residential care? Caring For Kids brings hope to children and families by fulfilling these essential needs. The systems serving these children now have an organization to call upon when faced with unmet, immediate needs. With the help of Caring For Kids, children can be reunited with their families and leave foster care; sometimes this requires simply a bed. Wednesday, May 1, 2019 is Give STL Day! Let's Give Our Kids Safe Places to Sleep!!! We'll be raising funds for BEDS and BEDDING so our kids can sleep safely. Please give what you can to help the children who need so much. Just click on givestlday.org and select CARING FOR KIDS. Any donation $10.00 or above helps. Thanks in advance from our kids and from all of us at CARING FOR KIDS!!! 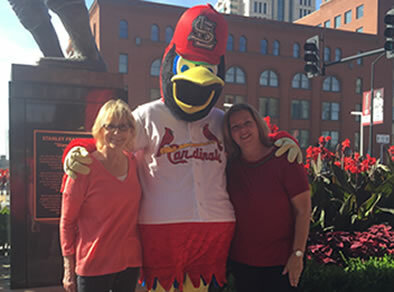 Caring For Kids Executive Director, Jan Abrams, was honored by the St. Louis Jewish Light as an Unsung Hero on May 17, 2018. 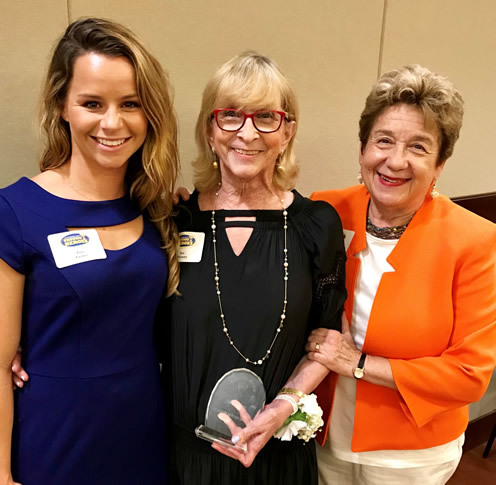 Susan Block, founding member of Caring for Kids, and Tori Bolton Foster, vice-president of the organization joined her at the event where she accepted a crystal award. Did You Know...Payments are easy to make on-line now for Caring for Kids! Just go to any page on our website, find the DONATE BUTTON, click and make a donation--it's that easy!!! Did You Know...Every time you make a purchase on Amazon, you can help Caring for Kids without spending a dime? Just go to AMAZON SMILE, find CARING FOR KIDS ST. LOUIS, CLICK, and make your purchase as you would. Caring for Kids gets a % of what you spend , it's that easy!!! Did You Know...Every time you shop at Schnucks, Caring for Kids can get a % of your purchase price? Just get an ESCRIP CARD from any employee, use it every time you check out--it will cost you nothing, and Caring for Kids will benefit. It's that easy!!! Help send a child to school with the supplies to be successful. Just $25 dollars is all it takes to equip a kid for a full school year. With just $50 we can provide a child with a brand new set of bedding: blanket, sheets and pillow. Your donation provides the comfort a child needs to sleep well. Often children are removed from bad situation quickly without many clothes. Your donation provides much needed clothing so kids can have some normalcy. Sometimes something as simple as a real bed to sleep in can make all the difference in the world to a child. Your donation can make that difference. Cribs are essential for the care of infants and small children. Your donation ensures foster families can provide the basic needs to care for children safely. Often children are removed from bad situations quickly without many clothes. Your donation provides much needed clothing so kids can have some normalcy. 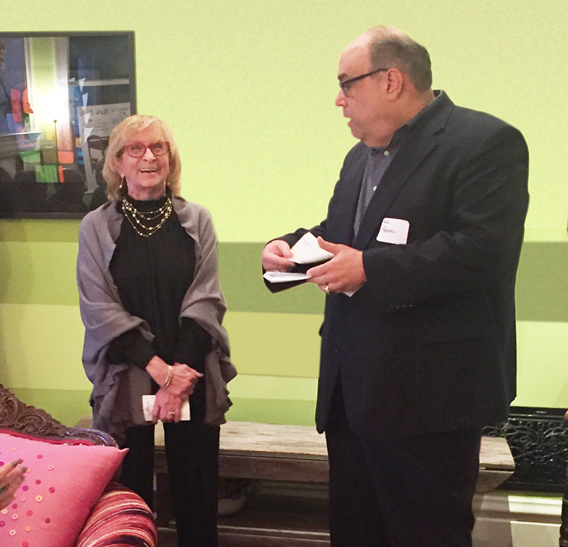 Caring for Kids is proud to announce that Alan Protzel, President of NAILBA Charitable Foundation Board of Directors, presented Executive director, Jan Abrams with a check for $15,000.00 at our recent Fall Fundraiser. These funds will be used to purchase beds for children who have no safe places to sleep in their homes. We are thrilled and grateful to this generous organization for such a wonderful grant, and we will use the money wisely. Caring for Kids, a local nonprofit organization, is seeking young professionals in the St. Louis area to be on the board of the newly formed Young Friends of Caring for Kids. Caring for Kids works to provide essential resources to abused, neglected, and/or at-risk children in St. Louis County in order to meet their urgent needs. The main objective of the Young Friends board will be to spread awareness of this great organization through networking and event planning. As a Young Friend, you are offered the opportunity to meet and network with other young professionals while making a difference in the community. 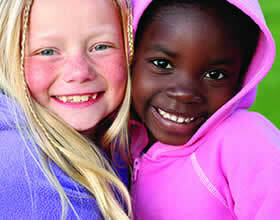 The Young Friends will be fundamental in the growth and future of Caring for Kids. A high school senior was just 3 ½ credits short of graduating with her class this year. The purchase of a laptop computer will help her pick up those credits over the summer, graduate and continue her education at the community college which has already accept her for admission. President Herman Jimerson welcomes the wonderful crowd of terrific people happy to help with our Caring for Kids mission. The Board of Directors appreciates the hard work and dedication of previous officers, especially Bill Grant who has served as President since Caring for Kids began its work in 2004. New officers will begin their service at the April 26th meeting. Congratulation to all!! Cardinals Care has awarded Caring For Kids a $3,000.00 grant. Accepting the grant award are Jan Abrams, Executive Director, and Sharon Mink, member of the Board of Directors. Caring for Kids is proud to have been one of six finalists for the Ladue News 2018 Charity of the Year Award. We're thrilled and grateful to the Ladue News for helping us show the entire community in print how we help children in need. 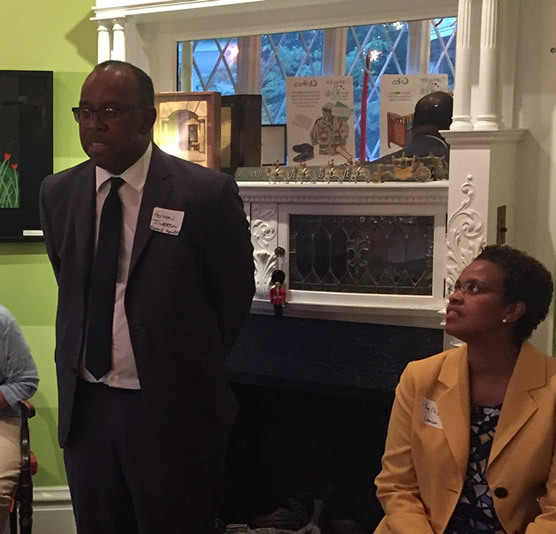 As Executive Director of Caring for Kids, a nonprofit in St. Louis County serving children connected with the St. Louis County Family Court System. I was most interested with the title of the editorial "Where's my Bed?" (Nov. 23) The conclusion that " selfless generosity knows no political boundary" is a lesson well-taught today and every day. Perhaps more important in the editorial might be the lesson that a bed is a gift of necessity both given and received for every child every day. Caring for Kids receives requests for beds and cribs for youngsters daily. These are children who have no safe places to sleep in their homes. If they are co-sleeping with an adult, the danger of being suffocated is very, very real. The dangers of drug, alcohol and sexual abuse are real as well.